Allow me to indulge you a little bit more from yesterday’s blog to further warn you of the impending issues of bottom feeders. Most of the specialists in this industry who are at the journeyman level begin to educate themselves on what the Catfish network looks like and smells like. 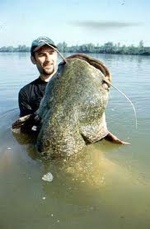 But the problem comes when the modern day catfish have evolved into more crafty modes of attraction. If a company surfaces from mere obscurity and all of a sudden is offering the keys to the kingdom promising you that after you attend their seminar you are ready to operate, you are being duped and baited into the catfish vortex. Even the most well known schools will NEVER (or shouldn’t) promise you guaranteed work upon successful completion. This does not include those courses like EPI that offer a 2 day course that gives you the introductory precepts of their full course. This is a successful program that they have put together. I’m talking about the latest trend of pop up gypsies that seem to move from town to town, social media page to social media page. When it comes to the work side, if you do not have a working relationship with a provider and have worked with them in the past, be leery of engaging into any work with unknowns without some safety valves implemented. I am talking about a contract here. The best of the best and the smartest of the smartest NEVER engage in any working relationship with a company without a contract on the table. A plane ticket to an AO is not a contract. If you get a cold call from a so called provider or specialist that you don’t have a relationship that needs you on a detail to be staffed immediately, don’t do it without a contract on the table. 8 out of 10 specialists in this industry have been burned by this mis-step. No one gets into this industry to chase down their money. I don’t care about the flack I get from these catfish on their personal pages because if I can help just one specialist stay clear of these goofs I’ve done my job.